GasSecure, the Norwegian wireless gas detector company recently acquired by Dräger, are pleased to announce that they have successfully concluded one of their most exciting developments by securing third party Safety Integrity Level (SIL) 2 certification for the GS01 wireless gas detector. After months of detailed assessments the GasSecure GS01 wireless hydrocarbon gas detector was recently certified by 3rd party assessor Exida as SIL 2 capable for use in Safety Instrumented Systems per IEC 61508 : 2010 Parts 1-7. Going further the assessment also supports the use of PROFIsafe communications to allow a fully certified SIL 2 loop to a control system which is a world first for a wireless gas detector. Achieving SIL 2 means that the GasSecure GS01 is now proven as suitable for use in safety system executive actions such as shutdowns. This opens up a whole new group of applications in process safety systems where users need the certainty that the device will meet their requirements in a Safety Integrated Function. Commenting on this capability, GasSecure CEO, Knut Sandven stated; “We have many clients that have been waiting for this certification as it allows them to use the GS01 in their safety critical applications onshore and offshore”. Achieving SIL 2 per IEC 61508 will give any user the confidence that the GS01 has been thoroughly assessed as reliable. This confidence naturally extends to use in non-SIL systems such as monitoring and indicating the presence of hydrocarbon gases. As part of the assessment it was determined that proof test period could be extended from 1 year to 2 years and stands as a testimony to the stability and reliability of the GS01 technology. Commenting further on the achievement Mr Sandven said; “After years of developing the world’s first truly wireless gas detector, and successfully bringing it to market, proving SIL 2 capability is recognition of the experience, knowledge and determination of the whole team”. All clients will now be able to use the GasSecure GS01 and benefit from the potential of a wireless system to dramatically reduce project costs, shorten and simplify the design process and achieve a flexible installation that is simple and cost effective to expand in the future. An Academic Industry Meeting day (AIMday) on Sensors & Signal Processing, is being planned at the University of Edinburgh, for companies looking to find an innovative solution to challenges in this technology area.. Sensors & Signal Processing is a key area of expertise at the University: questions about relevant industrial problems submitted in advance will be discussed, each for a one hour period, on the day, by several of a group of academic experts. They will outline several possible pathways to a solution to the problem posed: in the past these AIMday events have proved successful in establishing collaborations and identifying new solutions to challenges facing industry today. The multiple discussions throughout the day will allow companies to assess the strength and depth of expertise at the University of Edinburgh in several areas of sensor and signal processing technology. Or any other arrogant US marketing hype. Sorry but this is too much. In a paid for (ie not editorially validated) entry in PCN Europe’s PCNE e-mailed newsletter today, Magnetrol offer a cash prize of Euro500 plus a new Magnetrol Mechanical Buoyancy Switch for the company which can find the oldest Magnetrol switch submitted with a photo, the application and the age of the switch. In real English, a mechanical buoyancy switch is a float level switch: Magnetrol say they introduced the first of such switches to the process industry over 80 years ago. Therefore pre 1935. “The “Just Can’t Stop a MAGNETROL” contest will honour the hardest-working, longest-lasting level switches still in operation. What I would like you to do, independent of any manufacturer, is ask you to actually look at your old float level switches, and send pictures, of the application and of the nameplate, with a brief comment on the duty involved, and info about the level switch name, serial number or any date info, and the manufacturer’s name, and we will report on the oldest, most reliable range of float level switch, evidenced by being found still in operation today. Whether made by Magnetrol, or maybe from someone else. Probably these need to be pre-WW2 to stand a chance of being the oldest! As the saying goes, maybe I will have to eat humble pie, or my hat, but I wager that the oldest one located is going to be a switch made by Ronald Trist Controls, which from 1975 was known as Bestobell Mobrey, but before the Ronald Trist name, it was just called Trist Controls, I think. Don’t forget to look in your steam boiler house at the old float operated switches which may still be controlling water levels in your Lancashire steam boiler! And come November, we will see the result, honest. Impartial. And I guarantee the manufacturer, whoever it is, will want to pay you a finder’s fee for rights to use the story, and your photos, in their PR! I’ll negotiate it for you, totally impartially, as long as I can quote all the results, and my rates are very reasonable, in GBP not Swiss Francs…. 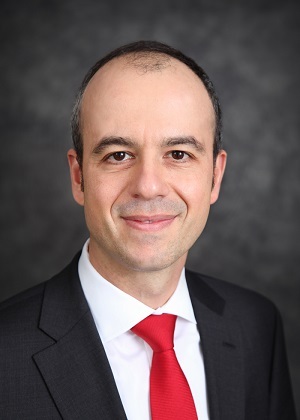 Thomas Donato has been appointed as the President of the Rockwell Automation EMEA region, covering Europe, Middle East and Africa. He was most recently Rockwell Automation’s regional vice president in Canada. He has also served as regional sales director of Rockwell Automation’s Northern and Eastern European region, and as the business director for the company’s services and solutions business in EMEA. Donato is now responsible for driving growth in this important region. He has 18 years of experience in the automation industry, and the last 11 have been with Rockwell Automation. 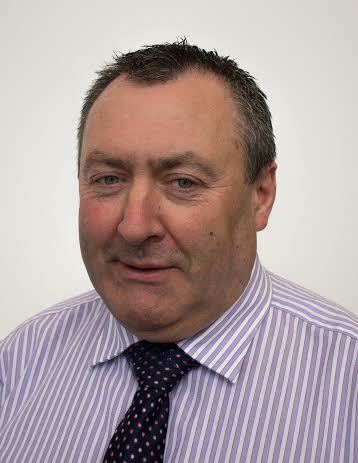 In June Rockwell also announced the appointment of Dave Nicholl as its new UK and Ireland Country Sales Director. Prior to June Nicholl served as Sales Director in Ireland, since early 2015, and he will now extend his remit to include the UK. 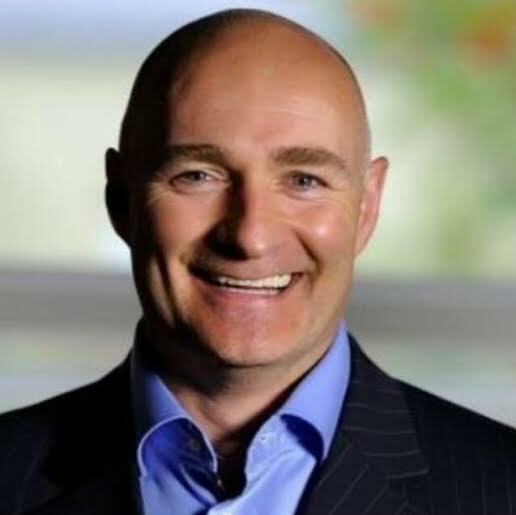 Prior to joining Rockwell Automation in 2015, Nicholl gained valuable experience during a distinguished career with Schneider Electric where he held senior managerial positions in the UK, Romania and Sweden. He brings an array of technical and managerial skills to the job and has a proven track record for achieving sales growth.